They are a small to medium sized. There are different types of these the animal. The Orma Boran breed is the smallest of the Boran breeds, and smaller than the Kenyan Boran. The weight of the mature Orma Boran bulls ranges from 250 to 395 kg. On the other hand average live body weight of the mature cows vary from 225 to 355 kg. The Kenyan Boran breed was developed from the Orma Boran, Borana and Somali Boran. Due to the size and well-developed hindquarters of the Kenyan Boran, it is differentiated from other Boran. The Kenyan Boran are slightly larger than the Orma Boran. And on an average, average live body weight of the mature Kenyan Boran bulls range from 550 to 850. While live body weight of the mature cows vary from 400 to 550 kg. 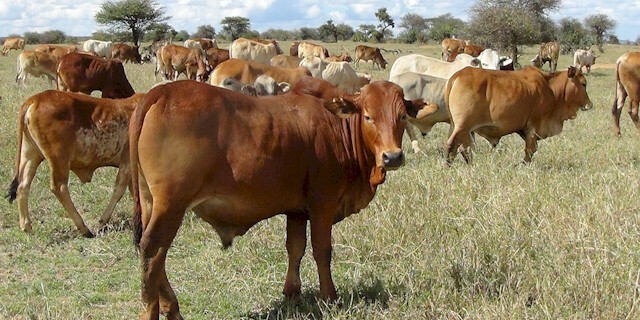 Usually coat color of the Kenyan Boran cattle is white with spots, but brown and red coat colors have also been found. Both bulls and cows usually have horns, and their horns are relatively smaller in size.